There will be no better example of The Whitlams’ remarkable rapport with Australia than the fourth single release from the platinum album ‘Torch The Moon’. The latest offering is ‘Don’t Believe Anymore’, a cover of the 1984 Icehouse classic by Iva Davies, with whom The Whitlams’ frontman Tim Freedman shares the uncanny ability to relate to his fellow countryman. Freedman’s silky lower register engages you immediately in ‘Don’t Believe Anymore’ with its simple message of love and confusion. But this is a new sound for The Whitlams, for while demonstrating their trademark piano and vocal, it relies on programmed drums, and is assured to sound fresh on today’s radio. The single release of the catchy ‘Don’t Believe Anymore’ contains three versions of the song plus four video clips from their latest album ‘Torch The Moon’. As well as the single version, there is an extended mix, which uncovers the strings of the Australian Chamber Orchestra members taking over what was originally a very ’80’s saxophone solo in the 1984 version. The third track is, curiously, a French language version, which grew out of The Whitlams’ recent tour of that country where the band performed half the set in French. The film clip has also been shot in 2 languages and will be gracing televisions in Paris and Montreal within weeks. 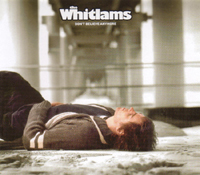 ‘Don’t Believe Anymore’ reinforces The Whitlams’ record of assembling well-orchestrated songs of depth, and is now included on the single disc version of the album.